On the eve of the Palestinian Prisoner Day, the Palestinian Prisoners Society (PPS) said that 7,000 Palestinian prisoners are currently held behind Israeli bars including 400 children and 69 women. 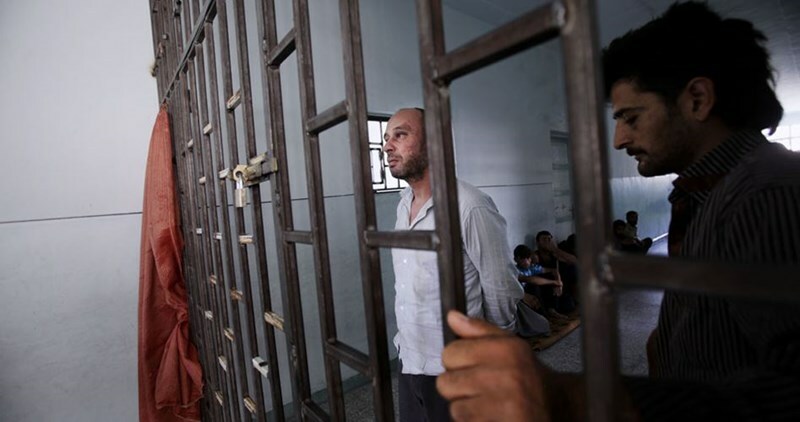 Over 700 Palestinians are imprisoned without charge or trial under administrative detention, often targeting community leaders and activists, the PPS added. 700 other prisoners are held despite suffering different diseases, 23 of whom are held in Ramla prison hospital. 30 Palestinian prisoners spent more than 20 consecutive years in Israeli jails including Karim Younis, Maher Younis, and Nael al-Barghouthi. Six Palestinian freely-elected MPs are also held in Israeli jails, while 18 Palestinian journalists suffer difficult detention conditions behind Israeli bars. 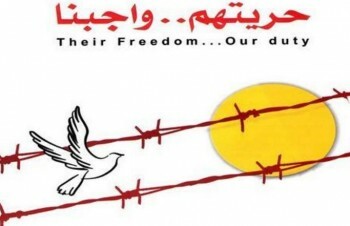 On 17 April each year, the Palestinian people, the Arab world, and the free people around the world mark an international solidarity day with Palestinian prisoners. Palestinian prisoners held in Nafha, Raymond, Eshel, and Negev declared a one-day hunger strike on Saturday, the Palestinian Prisoners Society (PPS) said. The hunger strike came in protest against the Israeli brutal attack on Palestinian prisoners held in section 14 in Nafha jail, the PPS explained in a statement issued today. Earlier Tuesday, dozens of Palestinian prisoners were injured after Israeli Special Forces stormed section 14 in Nafha prison. Several injured prisoners were transferred to Soroka Hospital while others were arbitrarily moved to solitary confinement. The PA committee for prisoners and ex-prisoners affirmed that large numbers of heavily-armed Israeli Special Forces suddenly and violently stormed section 14 and attacked and sprayed the prisoners with pepper gas. Israeli soldiers kidnapped, Friday, five Palestinians during various military invasions and attacks in different neighborhoods, in occupied Jerusalem, in addition to firing gas bombs and rubber-coated steel bullets, causing many injuries. 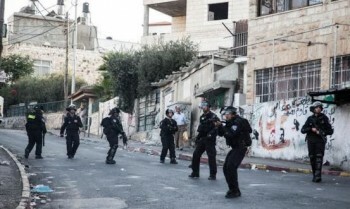 The Wadi Hilweh Information Center in Silwan (Silwanic), in Jerusalem, said the soldiers invaded Bab Hatta neighborhood, in the Old City, searched homes and kidnapped two Palestinians. The two kidnapped Palestinians, Gheith Abu Haidar and Mohammad Sharifa, were severely beaten by the soldiers before being the soldiers took them to an interrogation center in Jerusalem. Silwanic added that the soldiers invaded the al-‘Eesawiyya town, in Jerusalem, and kidnapped three Palestinians, one of them has been identified as Samir ‘Obeid. Mohammad Abu al-Hummus, member of the Follow-Up Committee in al-‘Eesawiyya, said the soldiers fired many rubber-coated steel bullets, and gas bombs, causing many Palestinians, including an elderly woman in her own home, to suffer severe effects of tear gas inhalation.